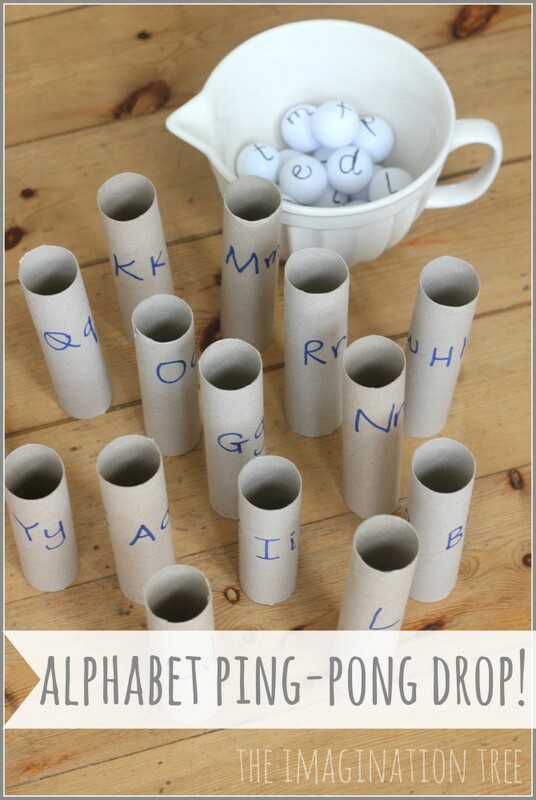 Make a fun and engaging early literacy game for kids using alphabet ping pong balls and letter tubes. 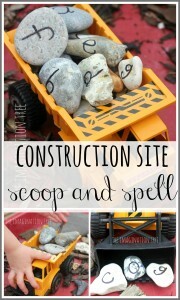 Exciting, fun and adaptable for younger and older kids, this is a great DIY resource to add to the collection for rainy day learning through play! After we made the alphabet ping pong balls for our literacy fishing and matching game, we have been playing with them ever since. 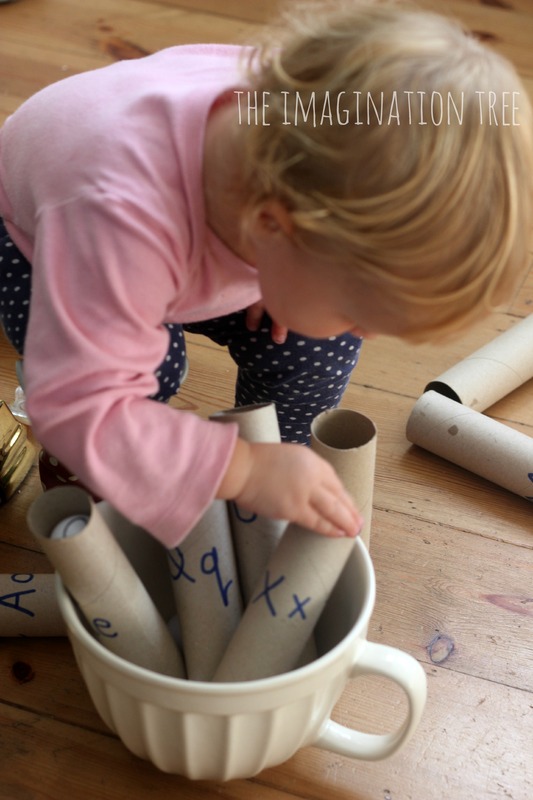 Of course, baby likes to just hurtle them through the air and roll them across the floor with great hilarity, whilst the older girls and I have been playing some super-simple and fun learning games together! 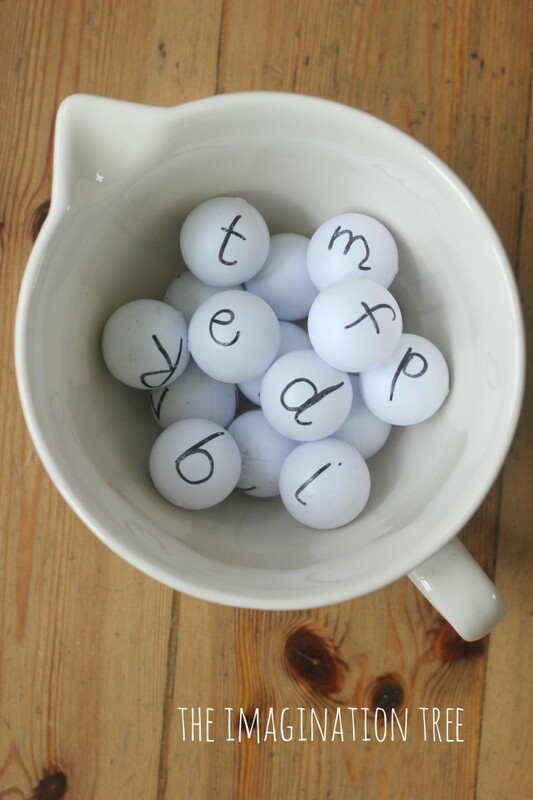 To make this game I simply wrote each letter of the alphabet, in both upper and lower case, on a set of ping-pong balls (I got mine, incidentally, in the £1 shop.) I used a permanent marker which adheres well to plastic surfaces. 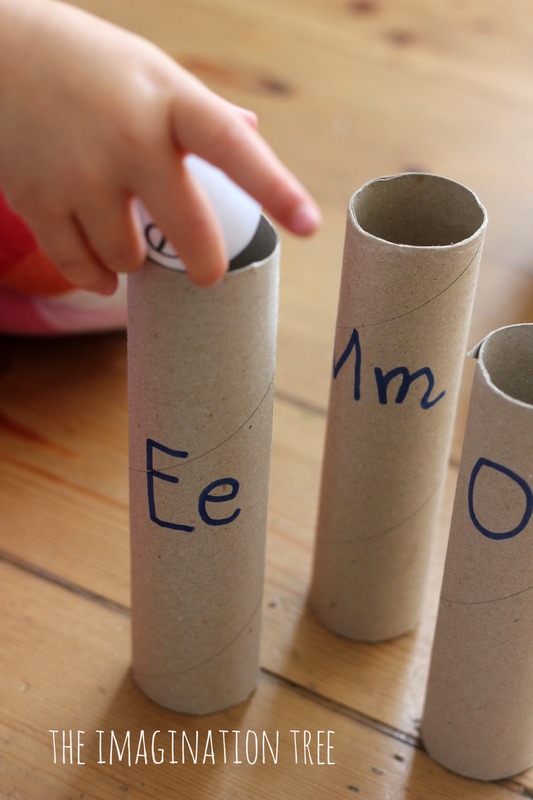 Then I cut 13 cardboard tubes from long wrapping paper rolls and wrote the alphabet in upper and lower case on either side of each one e.g. both Aa and Bb were on opposing sides of the first tube. This was to save me cutting 26 tubes, but of course you could make an entire, individual set too. 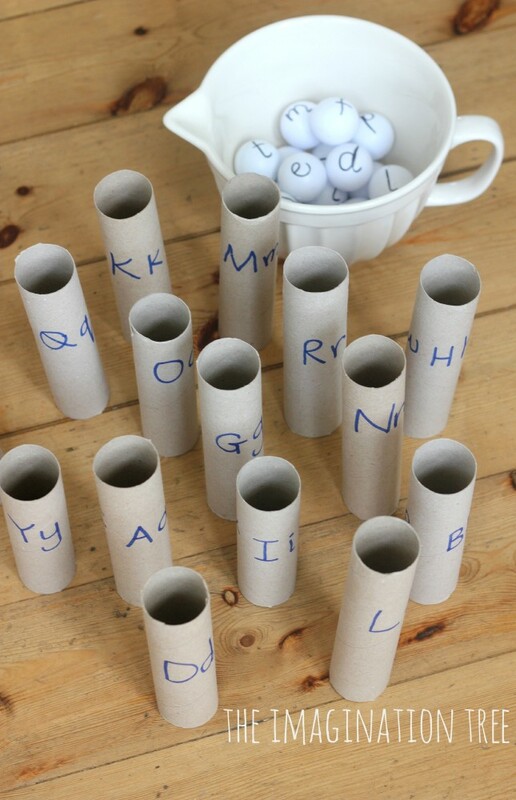 We put all the balls into a large bowl and then set up the letter tubes in random order on the floor. These could also be suspended or attached to a back board for more stability, although my girls loved the chance to play freely with them too. 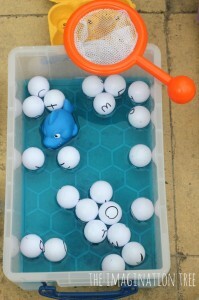 I called out each letter by using its sound (phoneme) and they had to find the corresponding letter (grapheme) on each ball as quickly as possible and then post them into the correct tubes, whilst saying the sounds out loud too. Baby Bean enjoyed collecting all the tubes and posting the balls into them, which was a great fine and gross motor game for her and lots of fun too. She even joined in randomly with some of the phonics game, calling out letter sounds as she heard her big sisters say them! 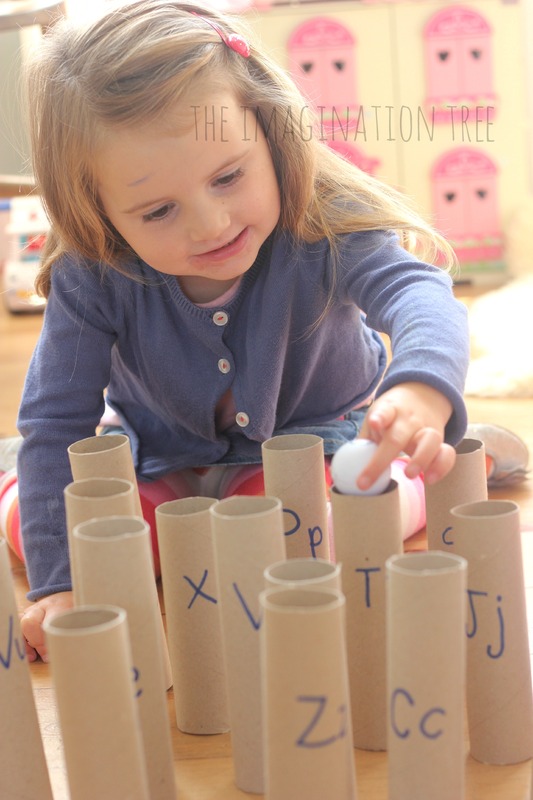 See our whole Playful Literacy series here for lots more active play activities! 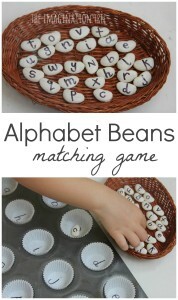 For alphabet specific activities click here! 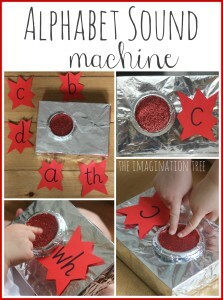 What a brilliantly simple and creative idea!! 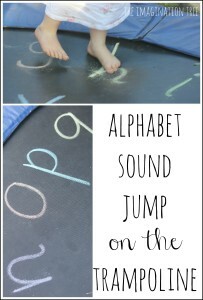 What a creative way to practice letters! Love it. 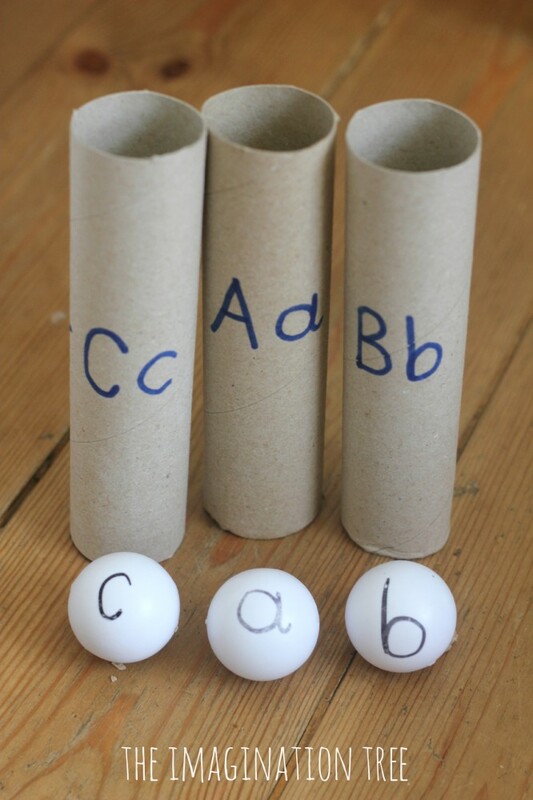 I can’t wait to put our stash of empty paper towel rolls to good use. This is such a great idea. 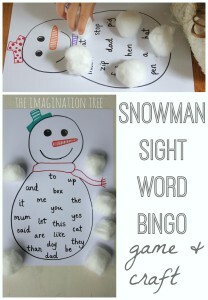 I am going to try it for sight words with my son. loved it going too use it for a class project. Amazing idea! Thank you very much!